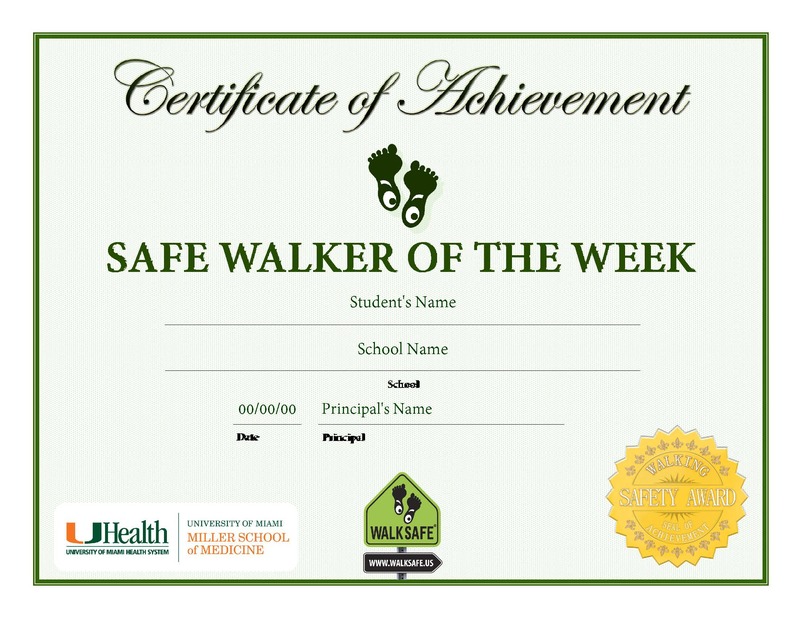 Walk to School Day is a nationwide event to support safe streets for kids and encourage walking as a method of transportation. 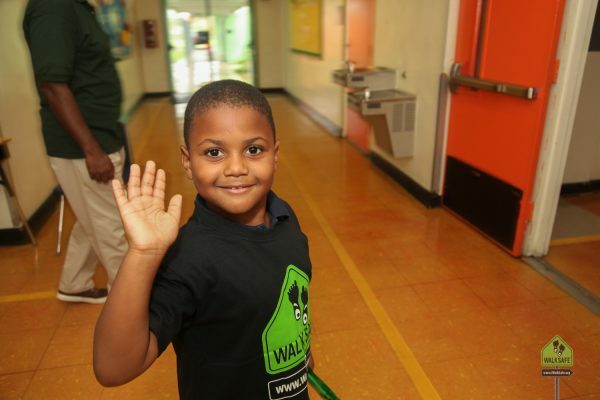 On this day, schools throughout the country to host a walk around the campus, or a group walk to school. 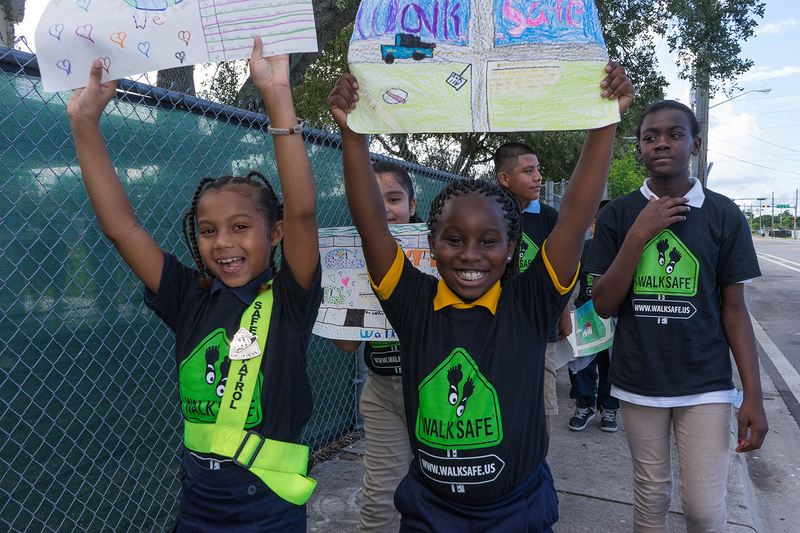 This event - an initiative led by Safe Routes to School - is about building awareness around kid-focused school zones, and street redesigns that prioritize pedestrian safety over motor vehicle speed. 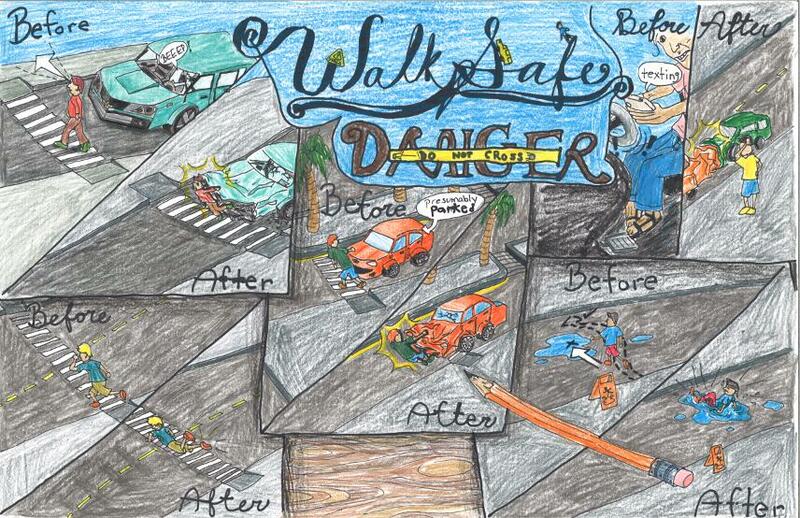 As such, Walk to School Day promotes new ways of looking at our roads, communities, and youth mobility. 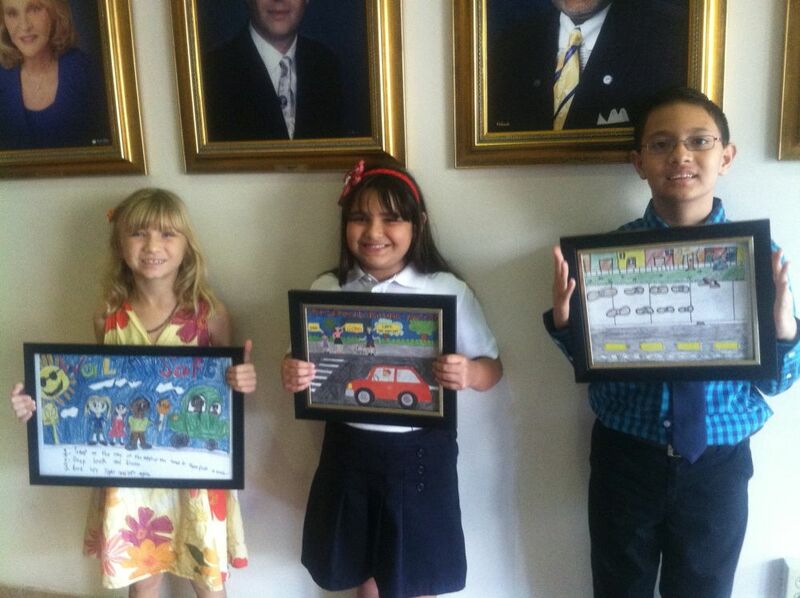 Most importantly, Walk to School Day is about you. 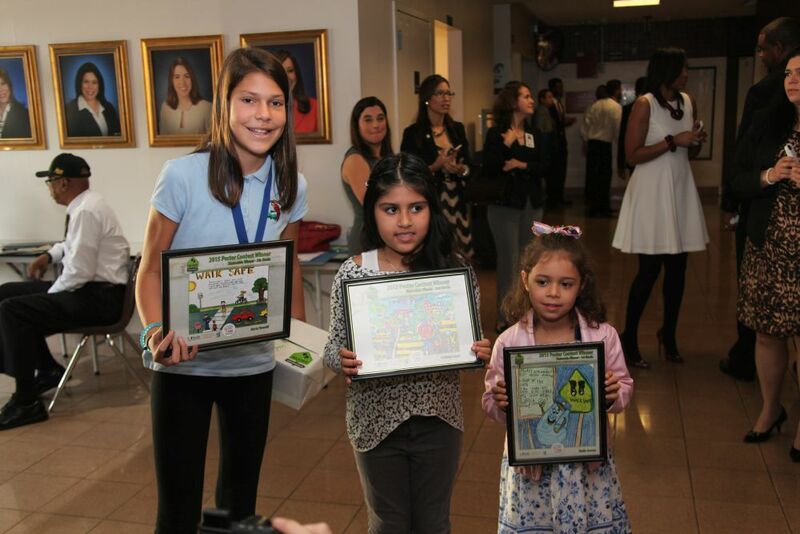 It is about the change that you, as a parent, community leader, school principal, or young individual can do to speak up to your local planning organizations and elected officials about these issues. 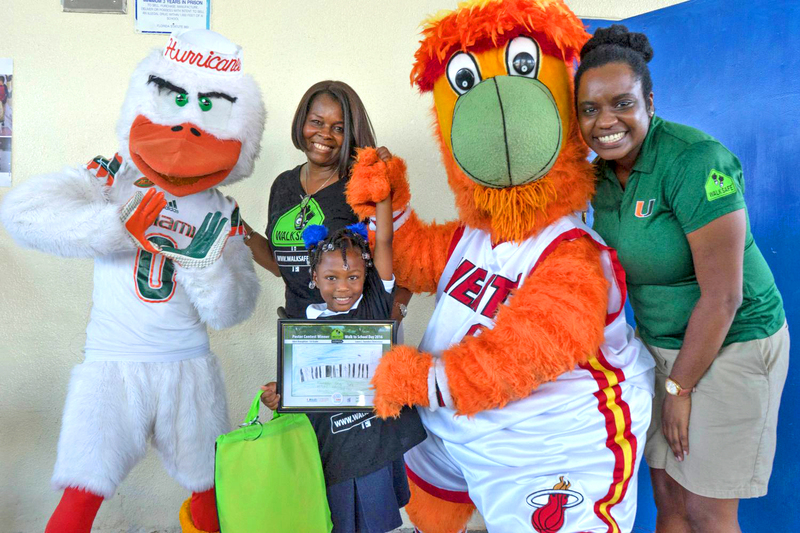 While it is usually up to schools (or motivated parents and PTAs) to host an event, we always hold a big Walk to School Day bash in partnership with a school every year, in our homebase of Miami-Dade County. 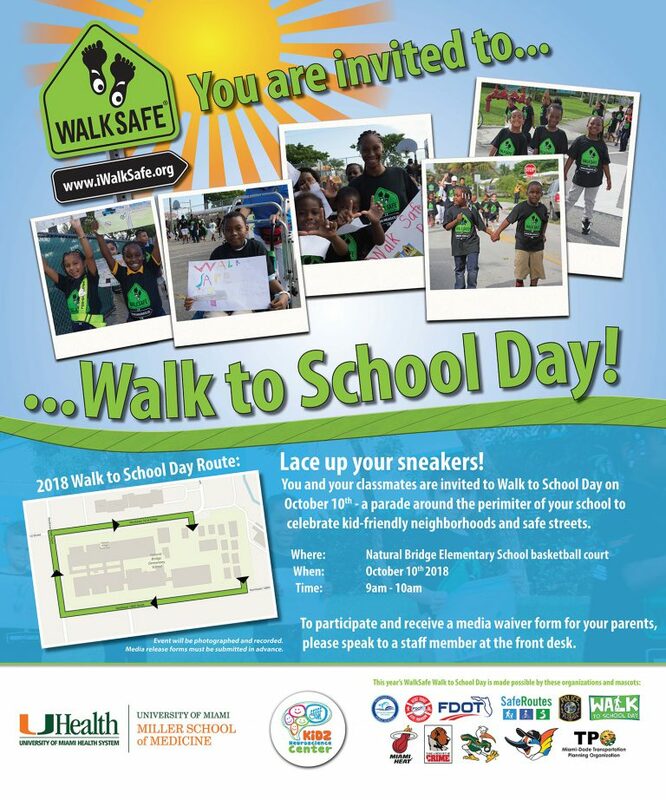 These WalkSafe events - supported by Safe Routes to School and Transportation Alternatives Program (TAP) grants - take Walk to School Day and ramp up the excitement by making the perimeter walk a community event with the Miami-Dade County Transportation Planning Organization (TPO), The Florida Department of Transportation, neighborhood health advocates, and local mascots. I want to be the next school! 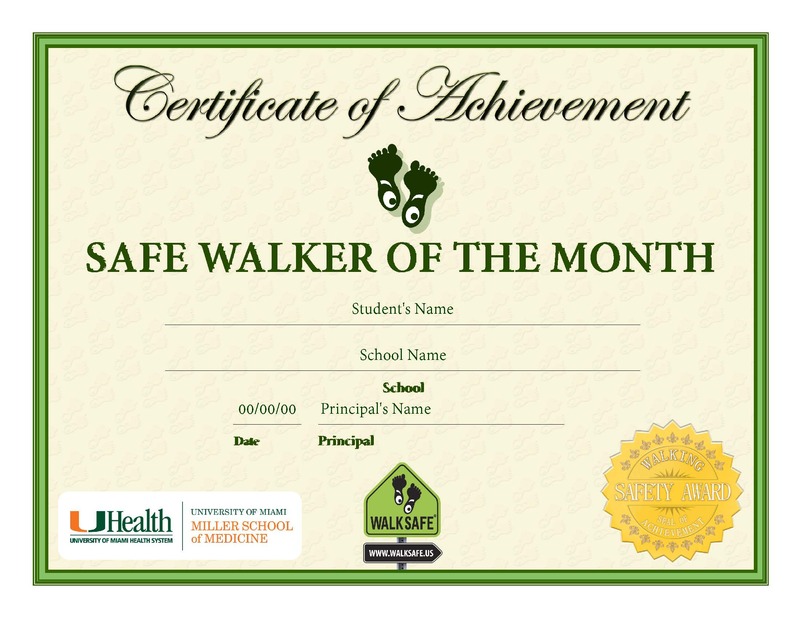 Since we can only pick one school a year, the competition to be a WalkSafe school is intense! Share with us how a Walk to School Day event could benefit your school and students for a chance to be our next pick. 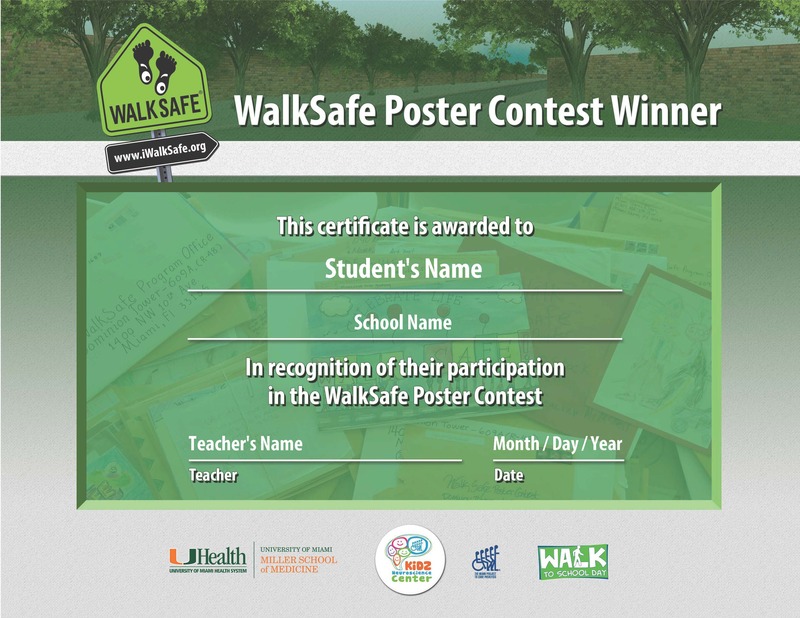 In addition to holding a Walk to School Day event, art teachers in Florida schools are invited to join in the festivities by participating in our WalkSafe Poster Contest, giving kids a creative outlet to express their ideas, and a chance to win prizes if chosen as winners. 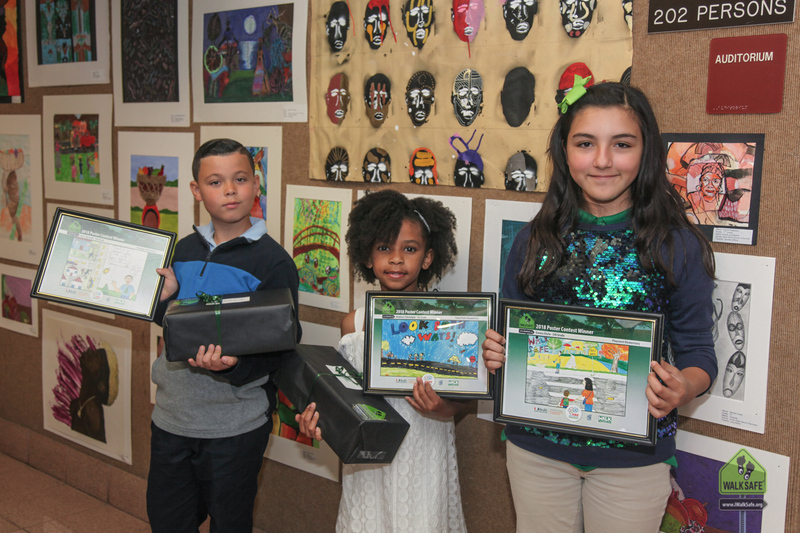 Previous years' sponsors of the Poster Contest include Nike's Back Your Block, Miami HEAT, UM Athletics, Rack Room Shoes, Foot Locker, Famous Footwear, and Ross. Of course. 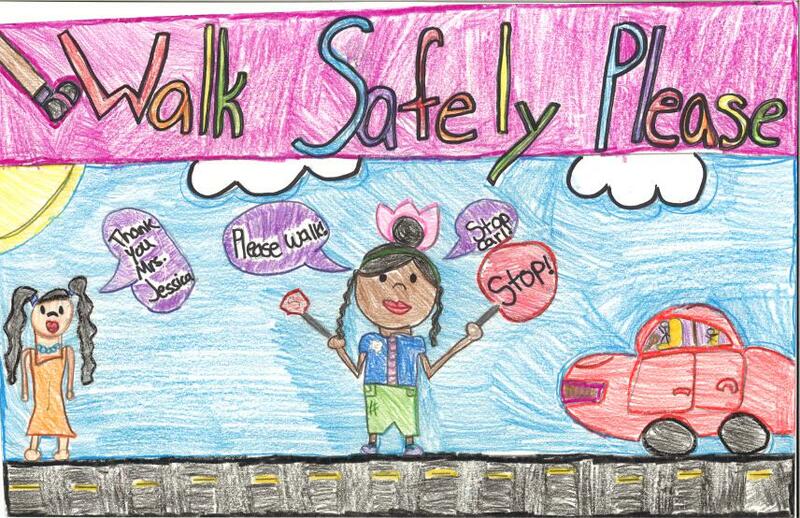 Walk to School Day and safe streets are products of the community, which means everyone - principals, parents, city planners, and yes - the kids - are players who can help re-envision our streets. 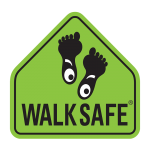 Plan your walking route: Walk it in advance. Avoid arterial roads. If organized by parents, seek approval from the school's principal. 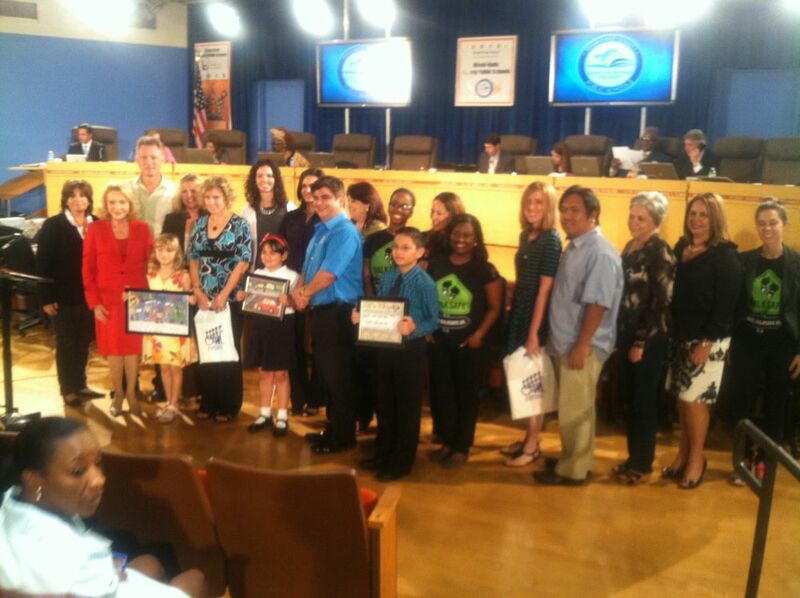 Get your community involved: Parents, students, local partners, volunteers, and your local police department. 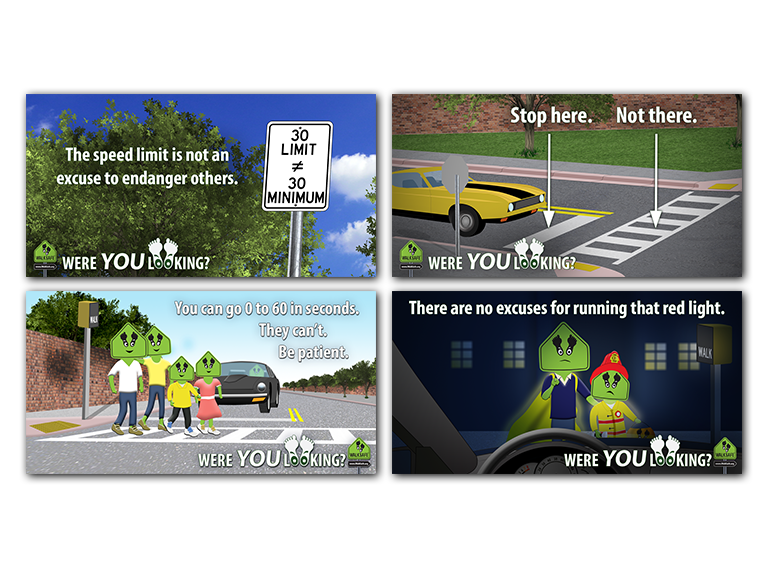 Get the word out: Send out flyers, emails, and put posters up in the neighborhood. Take lots of photos and videos to share on social media. 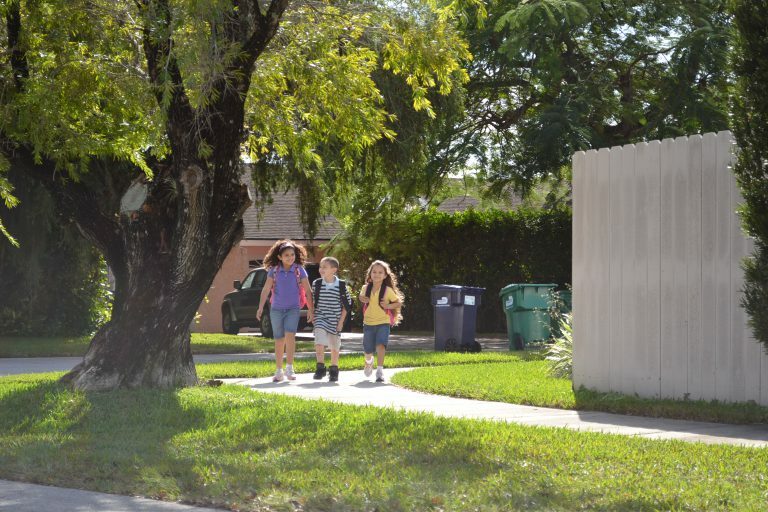 Don't stop at one event - use your newfound knowledge to create another Walk to School Day in the future.